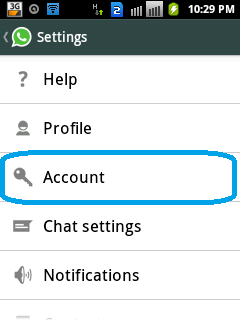 Here is a quickie on how you can hide your last-seen, your status, and your profile picture on Whatsapp. We will only be talking about Whatsapp for Android. I have no idea what Whatsapp is like on the iPhone or Blackberry. Note: For those of you who still live in 10,000 B.C. and have no idea what Whatsapp is, go check it out. It is a clean app (available for a variety of mobile phones) for annoying people and wasting your time :-P And no, we are not connected to Whatsapp in any way. 1. 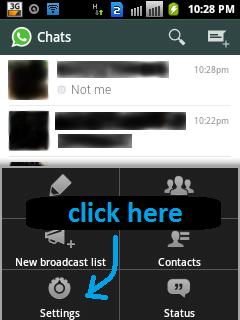 Open Whatsapp, and press your phone's menu key. And on the menu, click 'Settings'. 2. 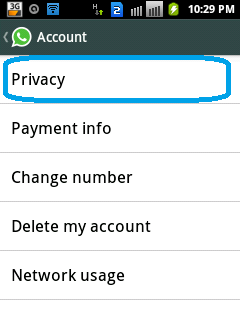 On the menu that appears, go to 'Account', and on the menu that appears next, press 'Privacy'. 3. The options for controlling who can see your profile picture, status and last-seen are in the top, under the heading 'Who can see my personal info'. 4. 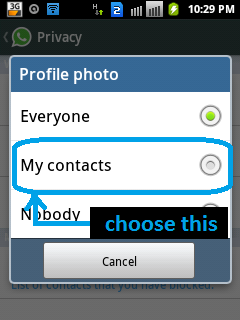 For example, if you want only your contacts to see your profile picture, click 'Profile photo' and select 'My contacts'. Choose 'Nobody' if you want to hide it from everyone. For example, if you don't want anyone to know when you were last online (although I see no point in it: 'last seen' exists for a reason, you know), then choose 'Nobody' under 'Last seen'.